Yeppers, I made something. (and I'm making a handbag, too!) 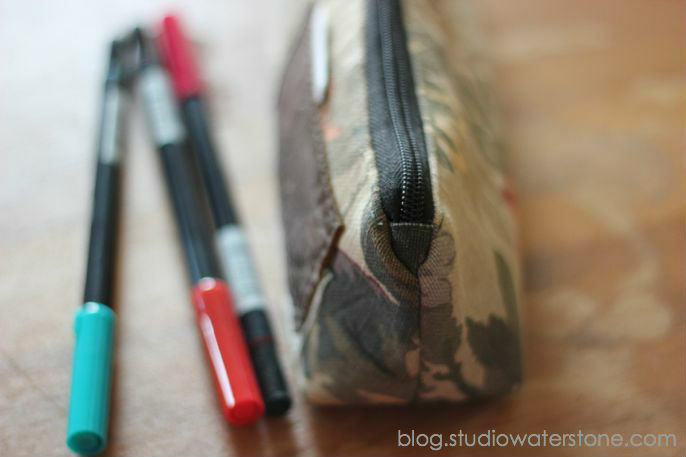 It's the sweetest little pencil pouch to hold my collection of markers. I say sweet and little like it's, well, sweet and little. It's about 10.5" long and this baby is like Mary Poppin's carpet bag! 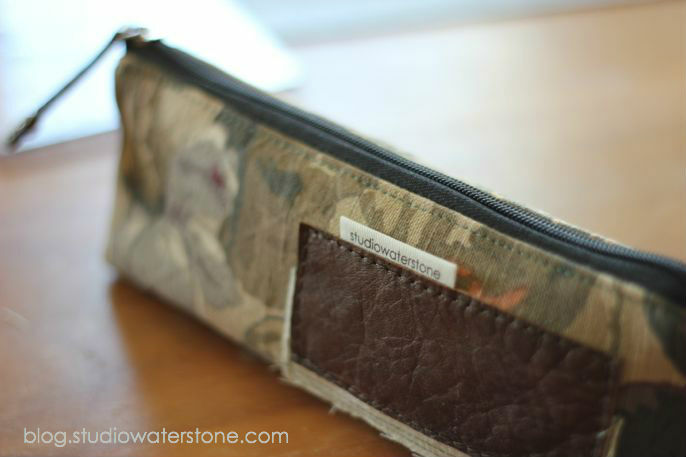 It's made with recycled fabrics, leather and hardware and I love this little sucker so very much that I refuse to share, or giveaway or even sell. HOWEVER, I'm thinking of making a few additional pouches to sale. I'm practicing my product photography. Trying to "professional-ize" things a bit and I'd love your opinion, constructive criticism, etc. I know, I know, I need a model holding the pouch for size reference. But my model is on spring break! So there ya go. You? Professionalize your photography? You are the standard! I can give you no advice! But I'd love to have your ability! (and maybe camera!) 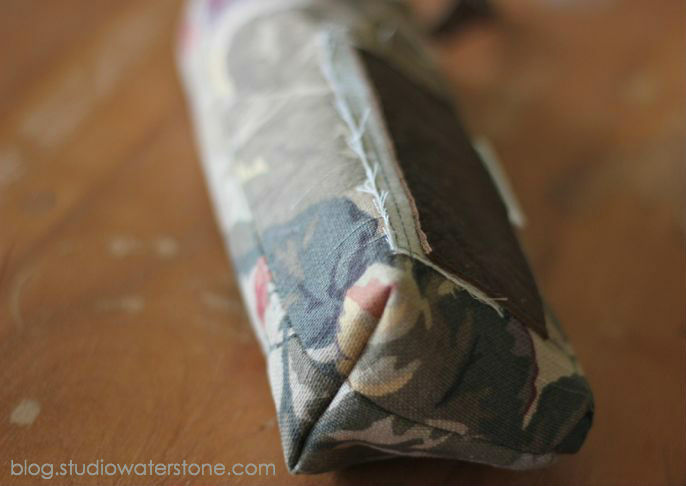 Love the pouches and the blog is adorable and fresh! Amen, Jane! Miss Lori is the epitome of professionalism that I am trying in vain to attain. (Wow! I'm a poet and I didn't know it ;-) Love the little pouch. I don't have need for pencils but my tools sure could use a lovely tote to cart their badasses around in! What say you? 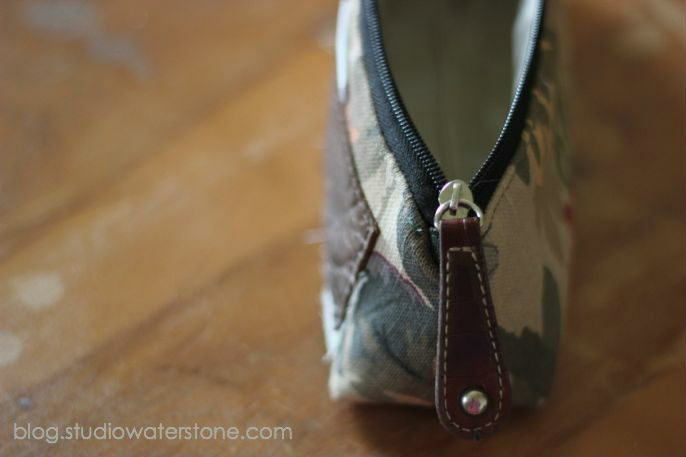 Do you see jewelry tool totes in your future? I know a lot of beaders who would quickly get obsessed with them and I could send a few out as gifts. Think about it! Erin, I did not even think of tools! Thank you so much. It would be perfect for holding tools. Looks great Lori. Love how it sits up while open and the zip-pull is wonderful and practical. Love your studio tag too. Your art/work is fabulous and the photos are great! I also just love your new header, gorgeous colors! I don't think that there's any need for practice. You have it down perfect in my books! 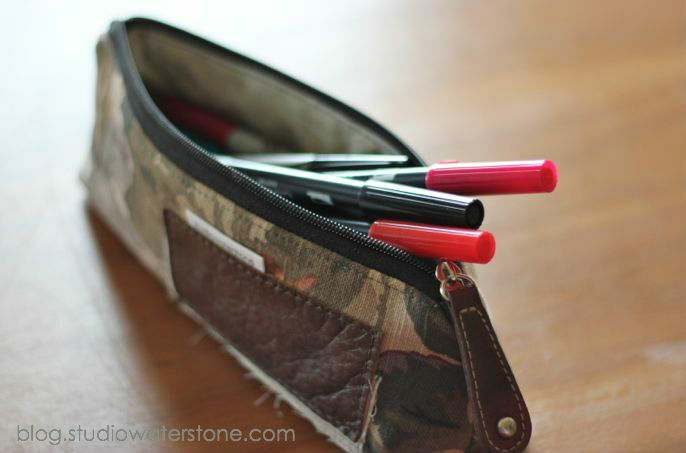 Love the pencil (or as Erin mentioned, jewelry tools) pouch! Photos are great too! The only other photo I would like to see is the product overall. In other words, a photo that shows the entire pouch in focus, taken strait on. Thanks Kathleen. Yes, I do need to remember that there's nothing like a clear, straight on shot. Your photos look great! I think that these little pouches would do well.